It is a good year for aged cachaça! We’re proud to announce that we’re expanding our line of barrel-aged cachaças with four new Special Release expressions for 2015. Why? It’s our mission to share Brazil’s best cachaças with the outside world to illustrate the depth and diversity of this delightful category. Our expanding line-up of organic, barrel-aged cachaças reflects the reality that the vast majority of cachaças in Brazil are aged in wood — most of them in American oak — especially in our home in the Brazilian South. Born in the coastal jungle named Serra do Mar in the state of Paraná, our “Chameleon” expression marries the savory identity of our organic Silver Cachaça with the vanilla notes of our oak-kissed Barrel-Aged edition. It’s aged just long enough to reach mixability peaks without losing its rainforest and sugarcane funk. Bartenders, meet your new Brazilian pal. 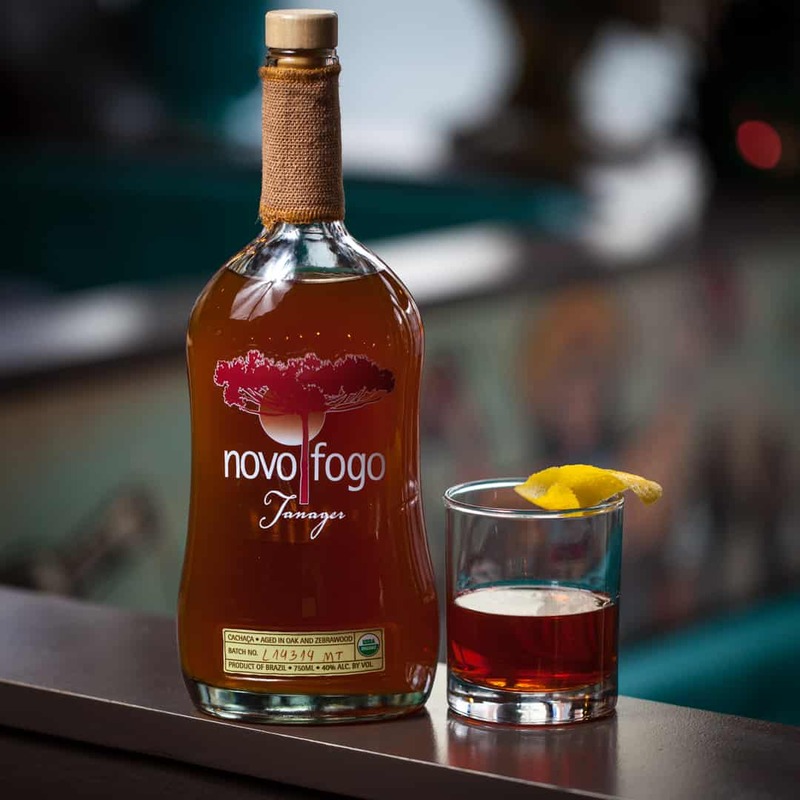 From tiki drinks to aromatic stirred cocktails, this is one mighty flexible organic cachaça. 43% ABV, SRP $32.99. Our “Tanager” expression is our first two-woods barrel-aged cachaça and it mixes the Brazilian South’s two favorite woods: we age this cachaça in repurposed America oak barrels and finish it in local barrels made from arariba wood, also known as Brazilian zebrawood. This finish gives the spirit a natural red color and a distinctive earthiness. Two Southern Brazilian traditions: American oak and Brazilian zebrawood. 40% ABV, SRP $34.99. 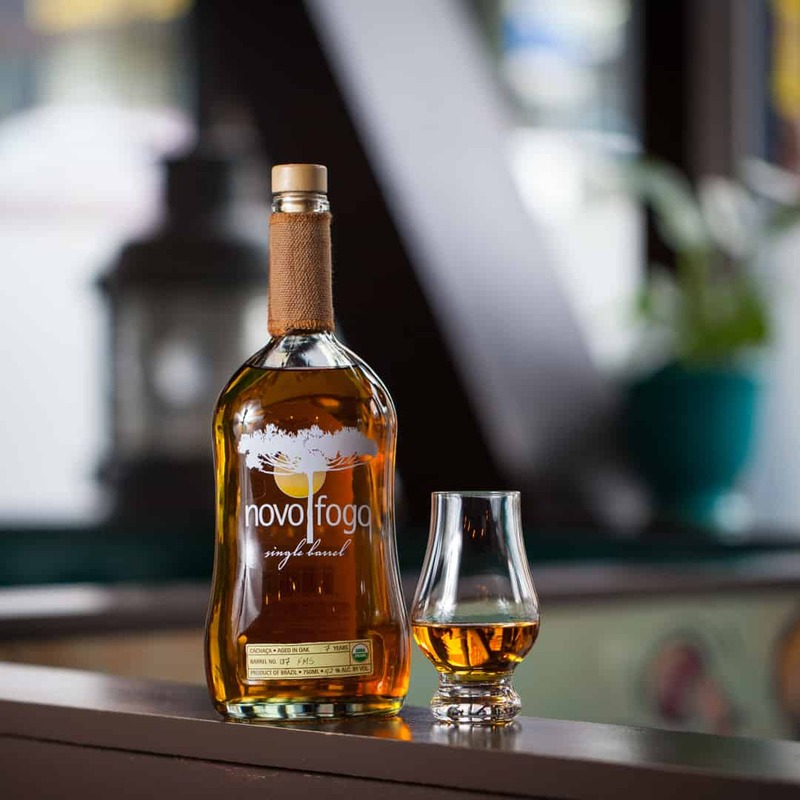 Novo Fogo’s growing Single Barrel Cachaça line presents a diverse array of sipping cachaças that highlights cachaça’s ability to go as deeply as any other spirit category. Every one of our repurposed American oak bourbon barrels gets a number, and this year we believed that #137 and #194 were ready to bottle. Each of them was aged for seven years in a single oak barrel of 200-liter capacity. 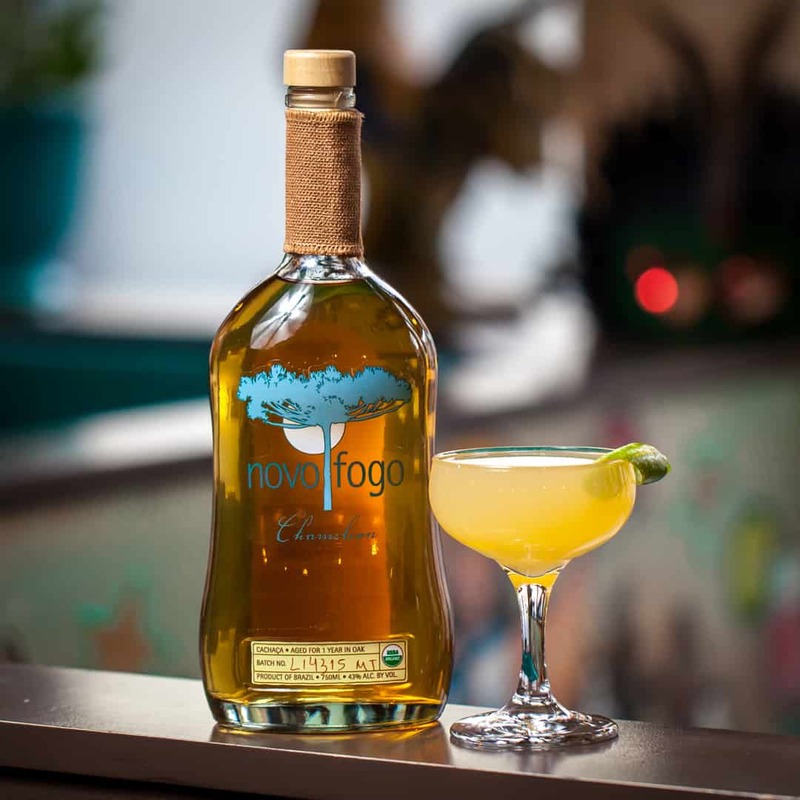 The heat and humidity of our jungle created two spirits that bring together sugarcane funk and tropical spice notes in a combination that is both easy to drink and complex on the palate. 42% ABV (B137) and 43% ABV (B194), SRP $150. 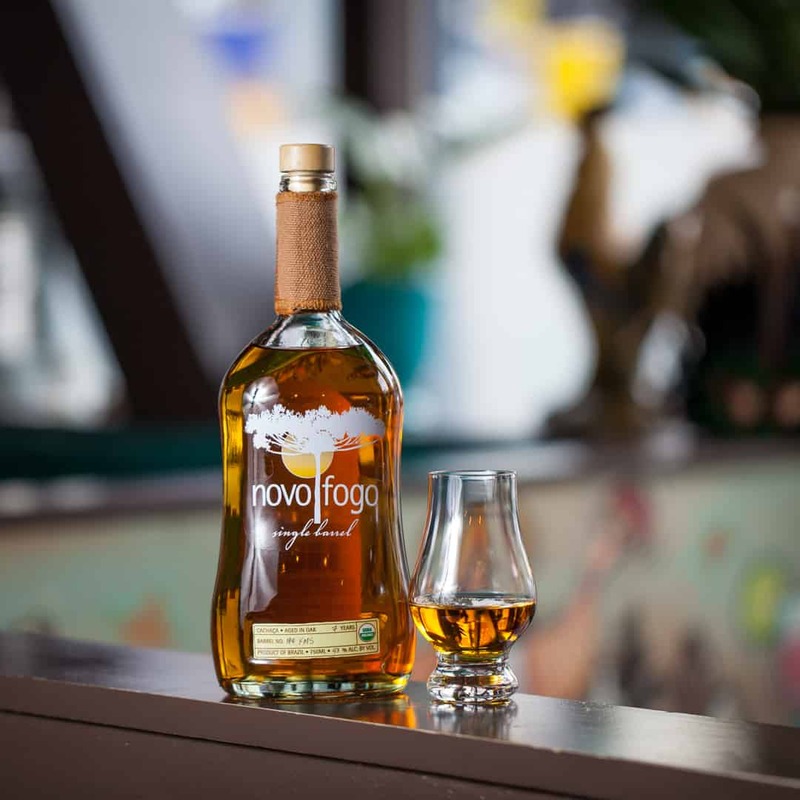 Want to find Novo Fogo's 2015 Special Releases near you? Ask your local retailer or distributor for availability.